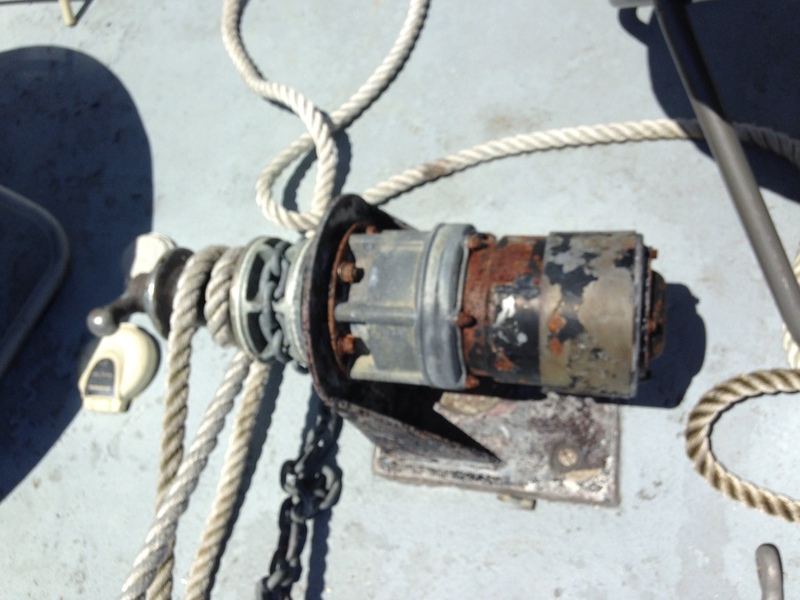 After upgrading to a Rocna 55 it's time to upgrade the chain, but I'll need to switch out the wildcat on our existing windlass. 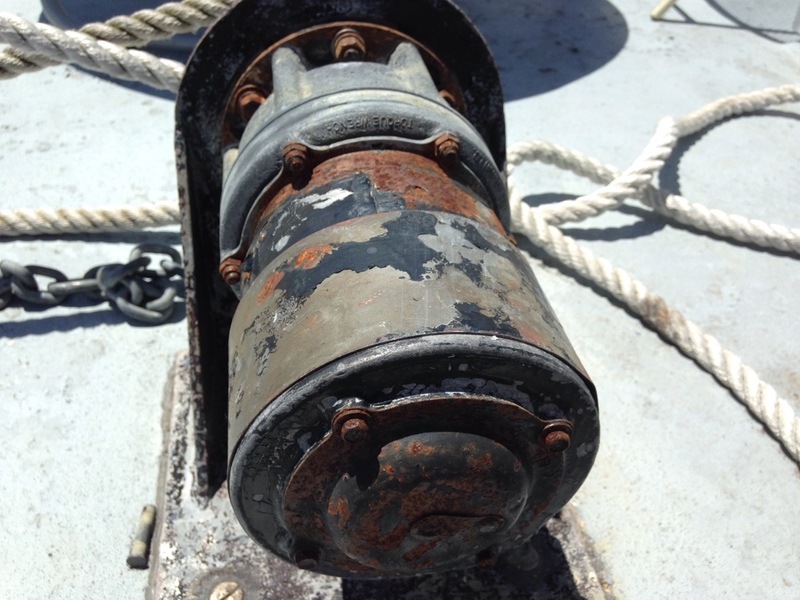 However, I can't find a name or serial number on our very weathered but functional windlass. Does anyone recognize this manufacturer and model? Thank you! I have no clue. But I'd think if you send those pictures to a couple windlass manufacturers they would. The wildcat looks a lot like the one on my Ideal. They are not splined, just ride on the shaft and are controlled by the friction discs. If you can measure the discs I could compare them to mine. Thanks. Bob, I may take you up on that when I get back to the boat. Why do you think your gypsy needs to be "upgraded"? I should have explained. The gypsy is sized for 5/16 G4 and I'd like to move up in chain size. 3/8 almost fits but ends up jumping. Does the size of your boat justify 3/8 ? When you say you are getting a Rocna 55, does that mean their 55 kilogram model? It would be helpful to know more about you boat. One suggestion is to send pictures to and talk with the folks at RC Plath in Oregon, and/or Ideal in Rhode Island, who have extensive repair and refurbishing capability. Yes, a 55kg/121lb Rocna. The boat is 52' and 36 net tons with lots of surface area for wind. Add to that the possibility of bad storms here in the Gulf and it is my understanding that 5/16 chain is not ideal. However, I certainly like the use of not having to switch out the chain and gypsy. Think I don't need to? 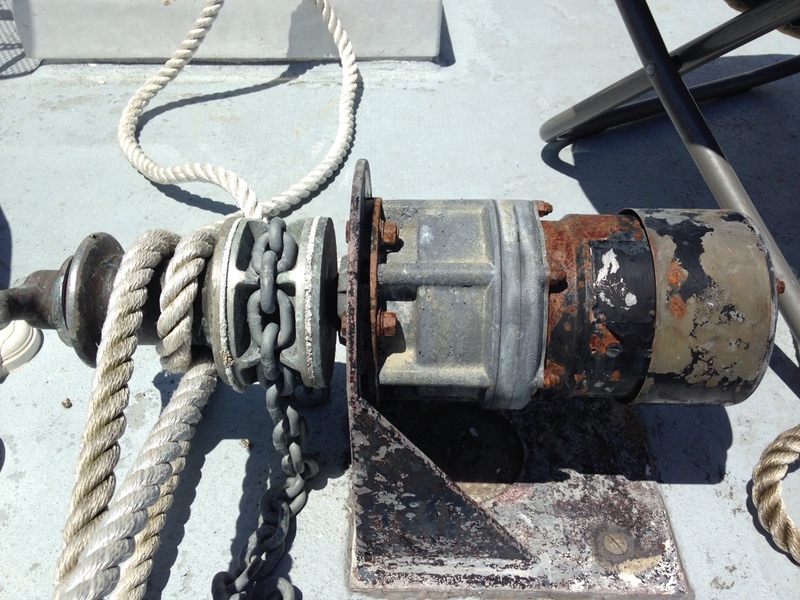 The weight increase of 3/8 chain is significant, can that windlass handle it? You could go to 5/16 high test which will give you more strength but not much change in weight. You'd still have to change the gypsy. I hope you actually have 5/16 G4? Still I think that 5/16 G4 is probably a little too light for that size boat. I have the 5/16 on my boat and consider it marginal for my situation. If it is G4, then it is plenty for that boat, in my personal opinion. Actually stronger than the 3/8 BBB we used for years on our slightly bigger and heavier Hatteras, in some very sustained gales (using a ("gasp!") 88lb Delta!). However, if you have the money and the motivation, then by all means go the route you are planning. 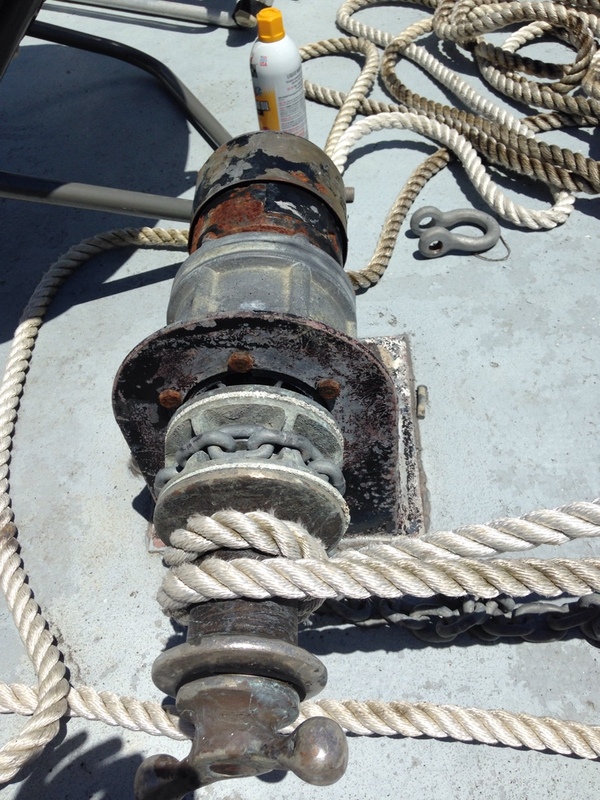 But to an excellent point above, make sure your windlass (which apparently has served well for years as-is) can handle the entire ground tackle system you contemplate.